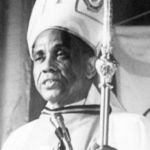 Bishop Joseph Howze (1923 – 2019) was the first African-American bishop in the 20th century to head a Roman Catholic diocese in the United States, selected to head the diocese in Biloxi, Mississippi in 1977. For full obituary and coverage from Legacy.com, click here. The Rev. 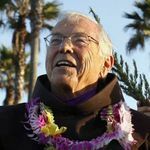 Christian Mondor, known as the "Surfing Padre," died Wednesday, April 25, 2018, after a bout with pneumonia, according to the Associated Press. He was 92. For full obituary and coverage from Legacy.com, click here. The Rev. 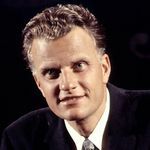 Billy Graham, who transformed American religious life through his preaching and activism, becoming a counselor to presidents and the most widely heard Christian evangelist in history, died Wednesday, Feb. 21, 2018, according to The Associated Press. He was 99. For full obituary and coverage from Legacy.com, click here. 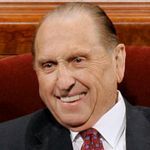 Thomas S. Monson, president of The Church of Jesus Christ of Latter-day Saints, died Tuesday, Jan. 2, 2018, at his home in Salt Lake City, according to The Associated Press. He was 90. For full obituary and coverage from Legacy.com, click here. 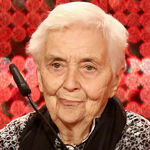 Ruth Pfau, a German-born nun who was known as the Mother Theresa of Pakistan for devoting her life to efforts to rid that country of leprosy, died Thursday, Aug. 10, 2017, in Karachi, Pakistan. For full obituary and coverage from Legacy.com, click here.